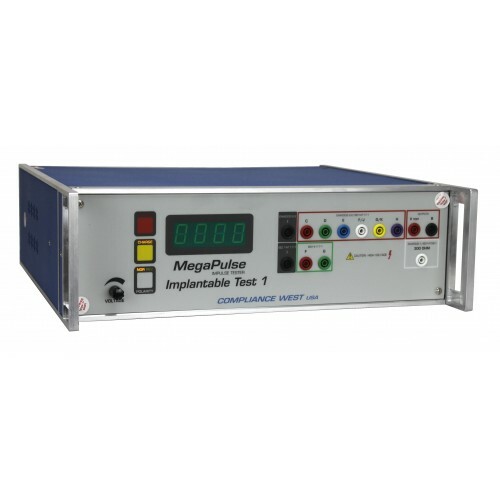 The MegaPulse Implantable Test 1 outputs the damped sinus pulse used to defib-proof test implantable medical devices. Resistor networks described in the Standard Tests are included internally. 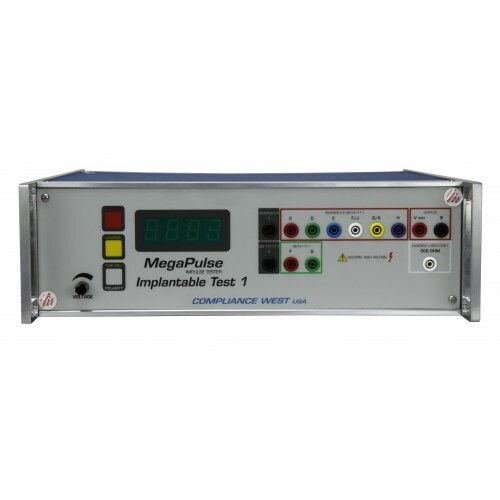 The MegaPulse Implantable Test 1 can recharge and trigger the next pulse in 20 seconds, in accordance with the Standards. Positive and negative polarity are selected with a front panel switch, or via optional computer control. The computer control can conduct the test sequence shown in the Standard. EN 45502-1:2015, clause 20.1, Test 1, Figures 1, 2 and 3; 140V peak. ISO 14117:2012, clause 6.2.2, Test 1; Figures 45 and 46; 380V peak. ISO14708-1:2014, Part 1; 140V peak. EN 45502-2-2:2008, clause 20.2; 380V peak. Please click here to view an Excel file showing which tests are required in the various Standards. 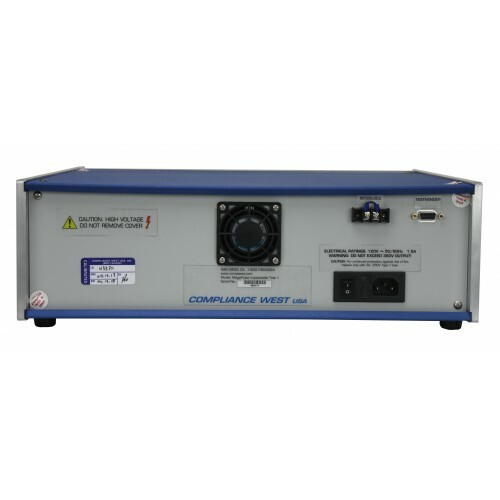 A Compliance West surge Tester. That means it outputs a guaranteed waveform but won't break the bank. The tester outputs the waveform it is supposed to, time after time. Built in the USA. Email and phone support free for life. Reasonable repair and calibration charges. Timely and helpful customer service always. 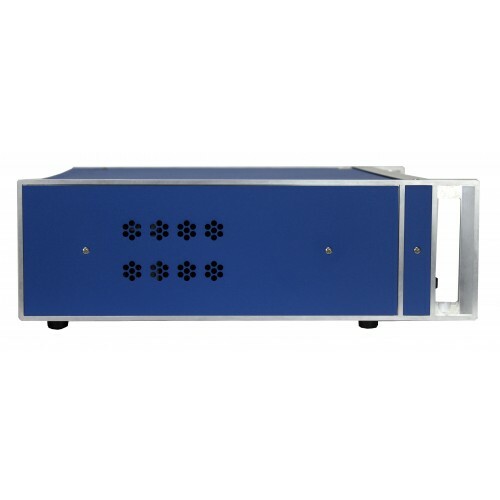 Up to 380V test Voltage. Theoretical graphs and actual graphs showing the output of your tester are included with each MegaPulse Implantable Test 1, allowing historical documentation of original machine performance. 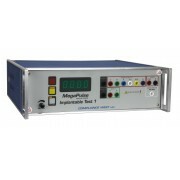 Microcontroller technologies, front panel voltage meter indicates test peak open circuit voltage and polarity. All resistor networks included internally. 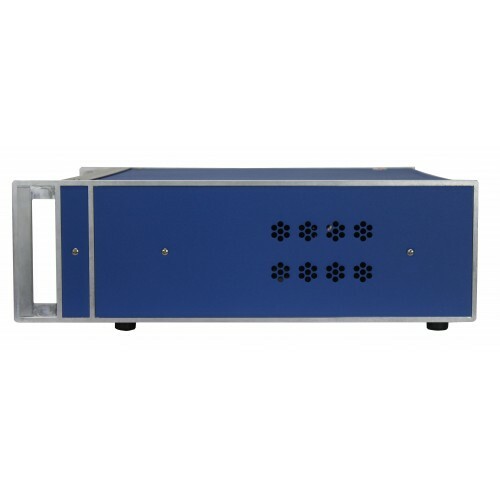 Outputs damped sinus pulse with a Tp of 1.5 - 2.5 ms and a Tw50 of 3 - 5.5 ms.
Resistor networks described in the Standards are supplied. 140V and 380V test voltages to allow conducting the damped sinus pulse tests described in EN 45502-2-1, -2-2, -2-3 ISO 14117-1 and IEC 14708-1. Duty Cycle: 1 pulse every 20 seconds.